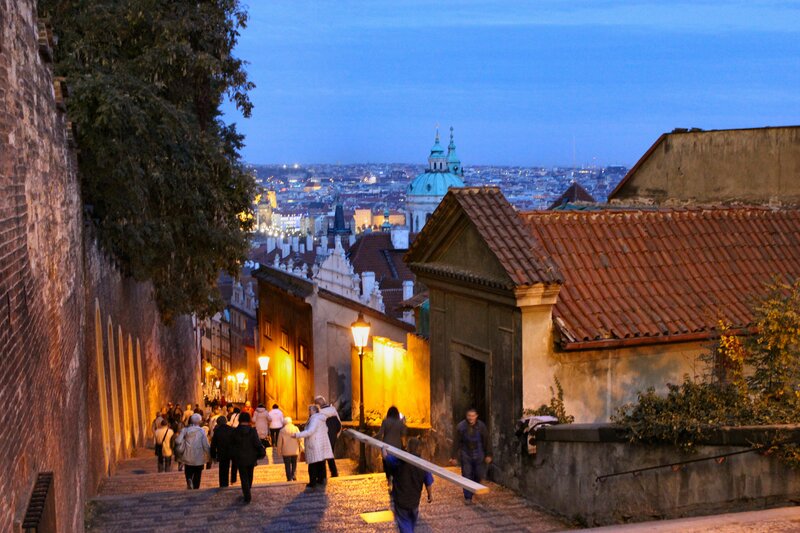 Words cannot capture the beauty of Prague. Simply put, it is breathtaking. It’s also romantic, historic and magical. 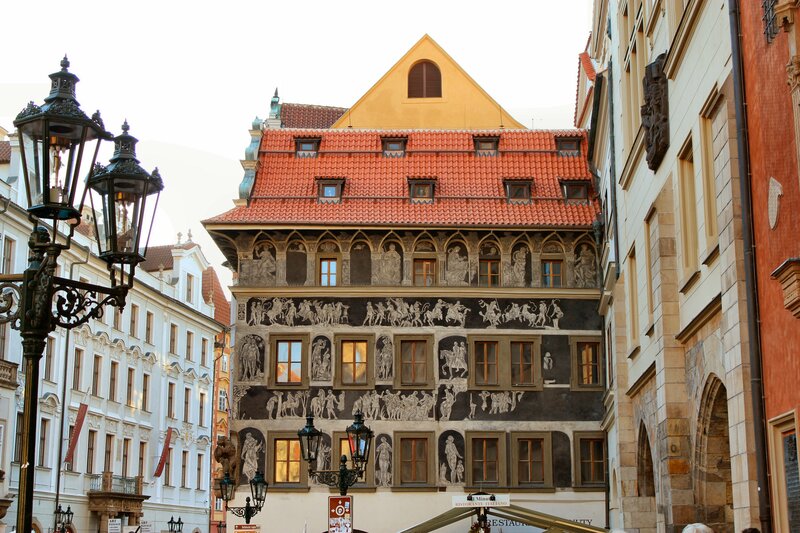 Every day in Prague offers yet another opportunity to take a scenic walk back in time. 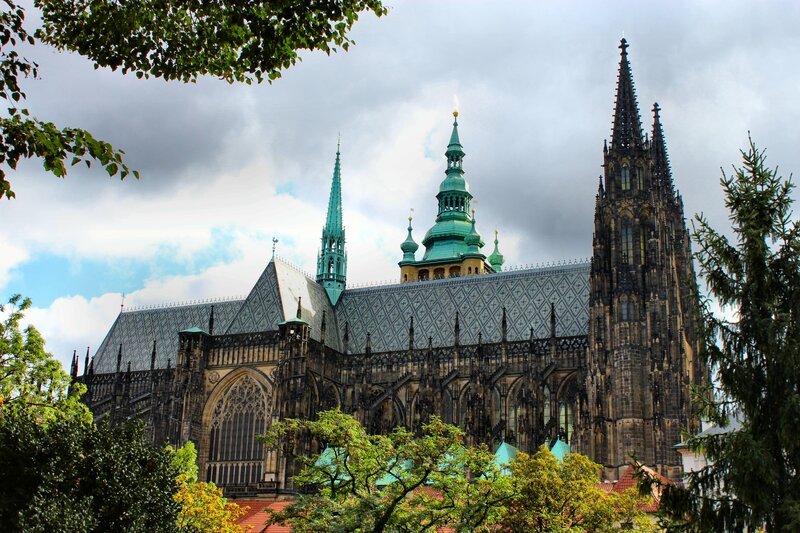 From Prague Castle and St. Vitus Cathedral, to the Old Town Square with its gorgeous old churches and Astronomical clock, Prague offers visitors a chance to recapture history, from medieval times to the present day. 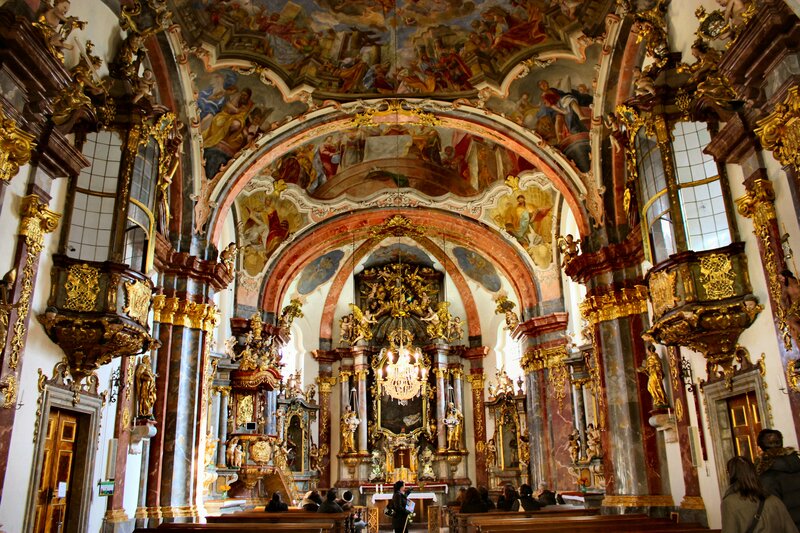 And each step of the way, the Czech people have beautifully and lovingly preserved that history. Everywhere you look, you will find something to take your breath away. 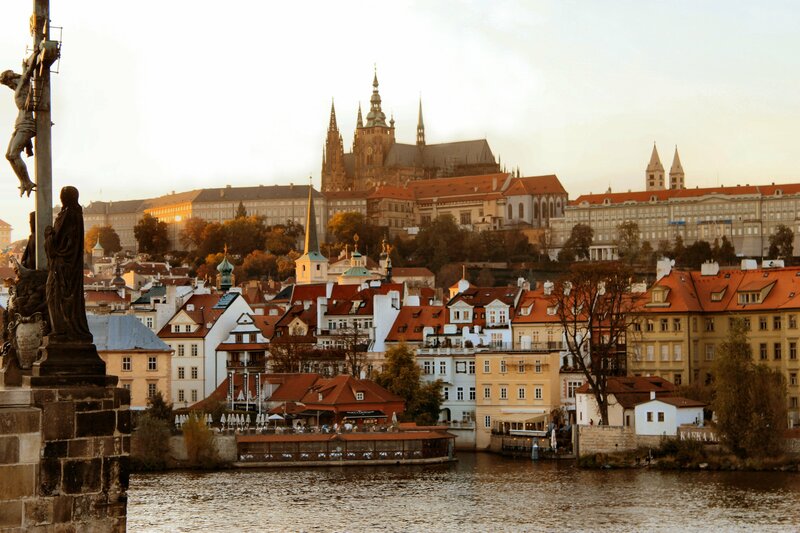 Prague has to be among the most beautiful cities in the world. Take a look, and see if you don’t agree. 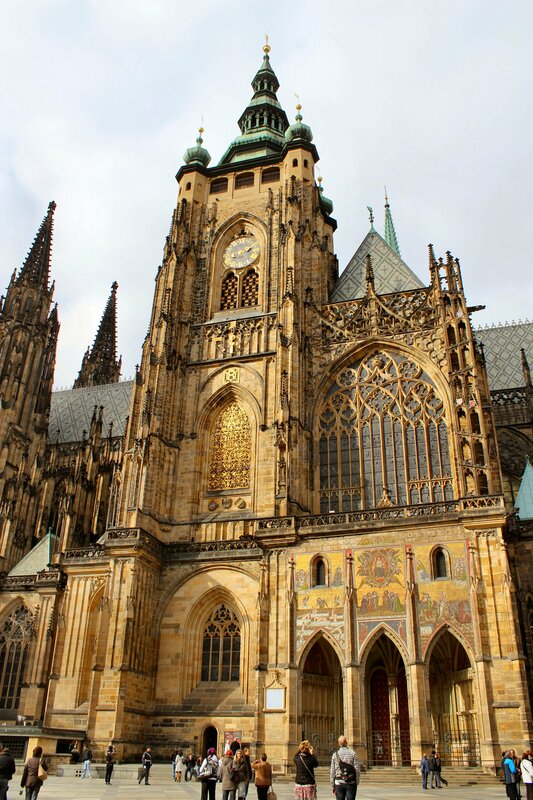 If you dream of traveling the world and keep a list of “must see” places, you must add Prague to that list. 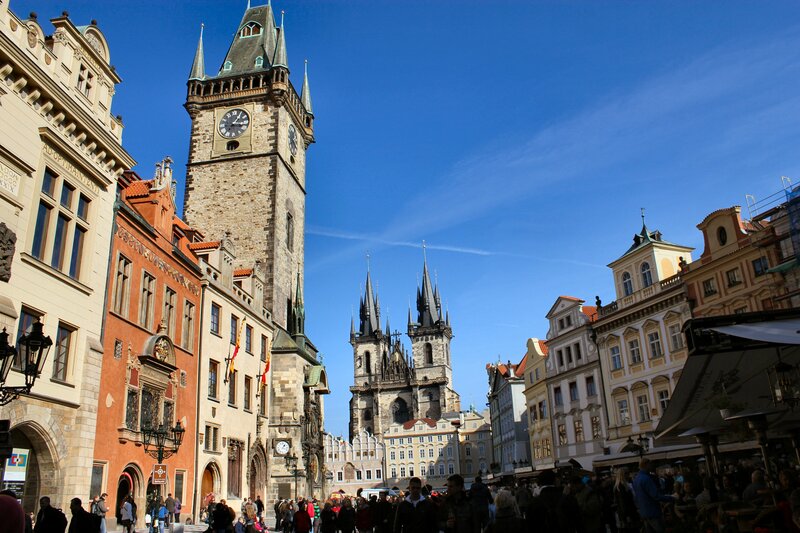 From the friendliness of the Czech people to the stunning architecture, from their rich history to their young independence, Prague and the Czech Republic truly are a treasure; one I hope you’ll experience for yourself very soon. As always, all of the photos included in this blog were taken by me and are my sole property. Use without expressed written permission is strictly prohibited. Contact information, if needed, is listed in the ‘About’ page of this blog. The Astronomical Clock is absolutely beautiful! If it’s striking now, I can only imagine how it must have come across when it was built. As we were told by our tour guide on the Prague Underground Tour, “the Czech are warm and friendly people”. 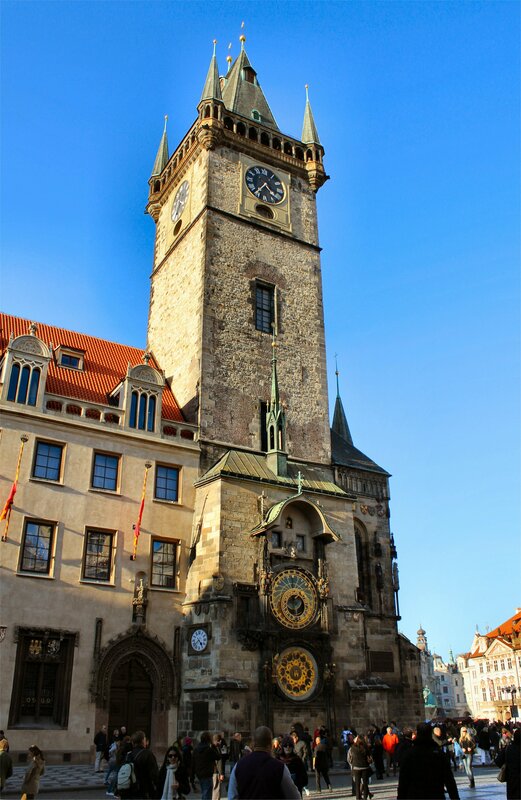 Like when the Old Town Councilors used a hot poker to burn out the eyes of the Prague Astronomical Clock master so that he would not be able to build another clock elsewhere which could overshadow the Prague Astronomical Clock. Later they erected statues of him in Prague honoring his accomplishment (which he obviously couldn’t see). 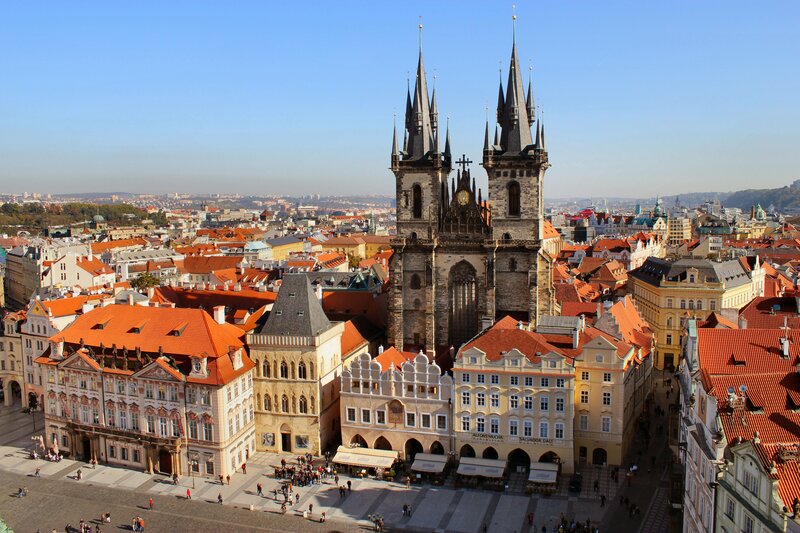 Or the time when the city rebelled under the command of the Prague priest Jan Želivský and threw the city’s councilors from the top of a tower in the city square. Yeah those Czech people are one warm group (if you count the hot pokers and torches). On the plus side the city is beautiful and they have great beer. I will always remember the view from the Prague Castle at sunset. It was breathtaking. Okay, you were paying a lot more attention to that Underground Prague tour than I thought, honey. 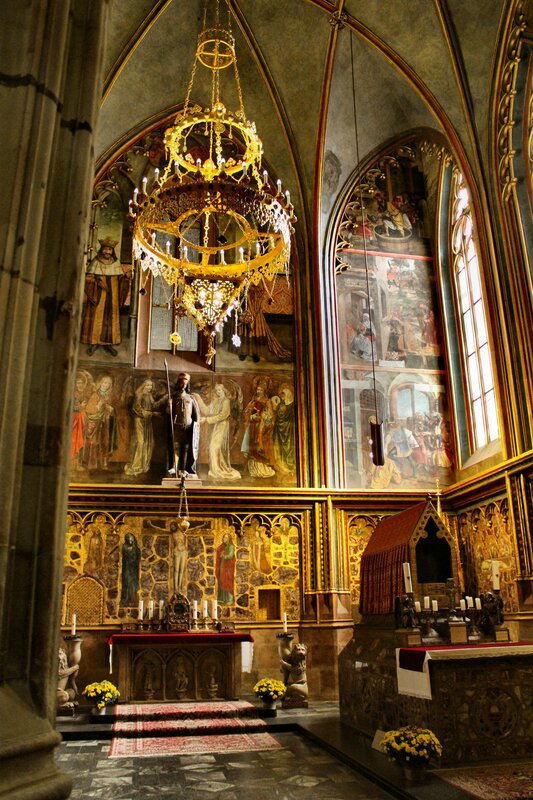 Yes, all the things you said are true according to our tour guide and Prague history. However, that was centuries ago. I’m pretty sure they’re not throwing people out of the clock tower or burning anyone’s eyes out with hot pokers anymore. 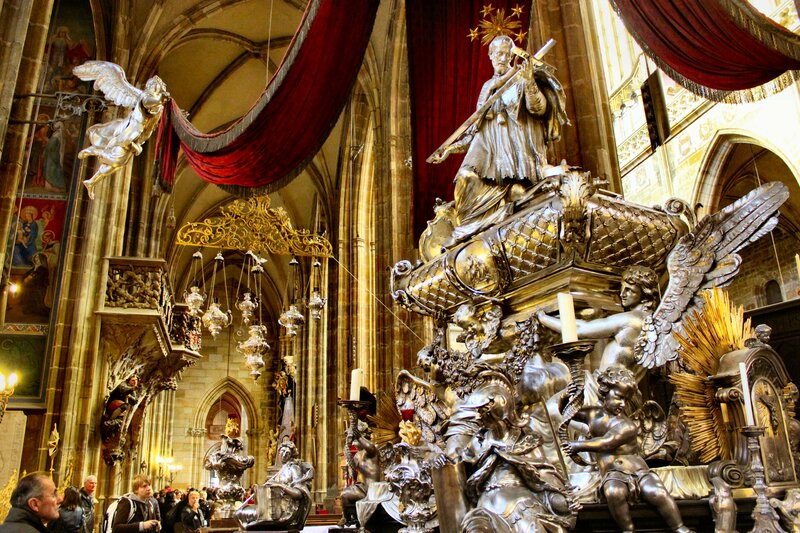 Today’s Prague is more committed to killing you softly – with Old Prague Ham, hobblestone streets and more fabulous beer than any country should have claim to. Totally different than the tortures of yesteryear, wouldn’t you say? 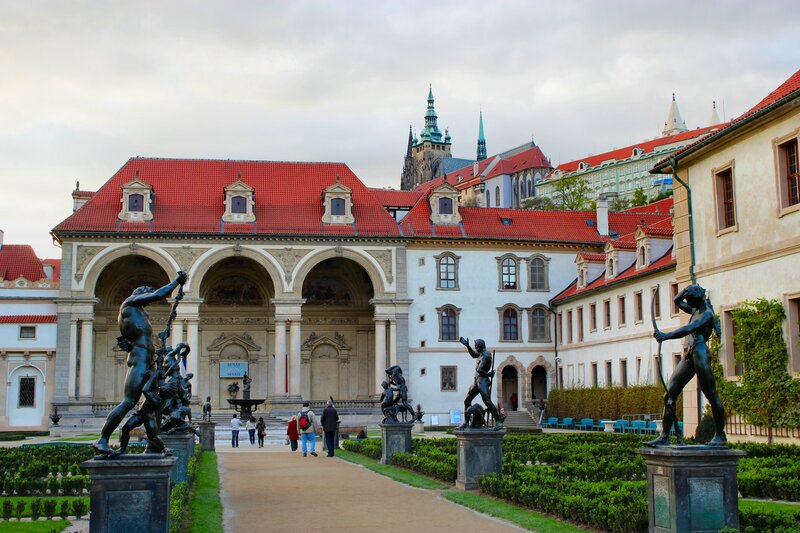 An exboyfriend’s father lived in Prague, and when he came to the US to visit, he was so mean and snobby that he made me never want to visit. Your pics are starting to change my mind. 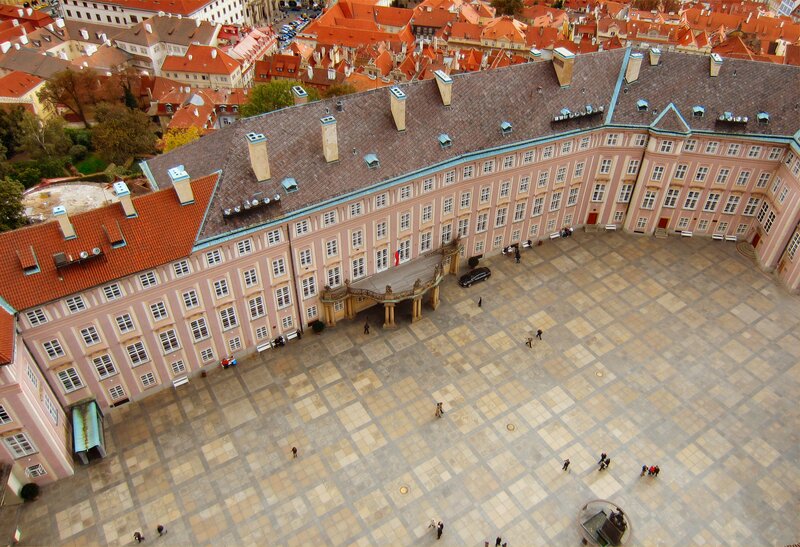 Don’t let one bad Czech keep you from visiting Prague. He is NOT a reflection of the city, I promise! Just awesome thank you for sharing this! 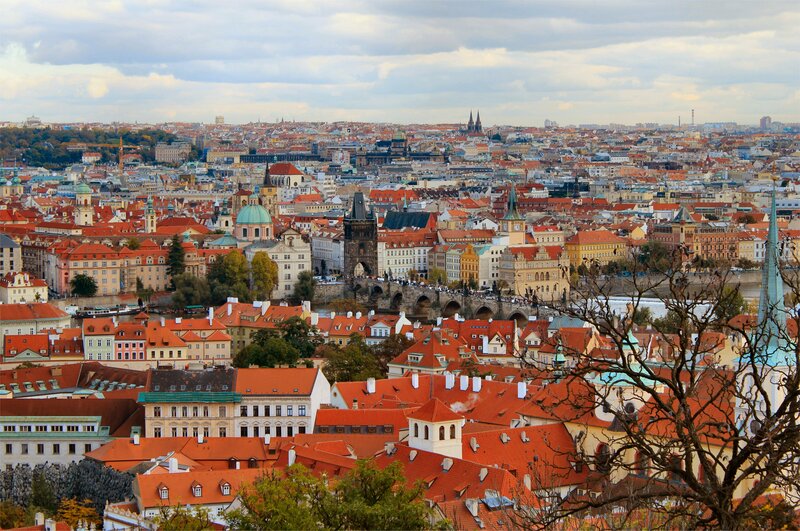 Prague has always been on my list to visit ever since reading a fictional story years ago set there. Lovely photos! In college, I worked in a restaurant on campus and a lot of the other students who worked there were from foreign countries. I worked with a guy from the Czech Republic and he couldn’t say enough about Prague. Ever since, I’ve wanted to go. That clock is simply amazing. Stunning pictures! Thanks, Amy! I hope you’ll make it to Prague some day. A little clock watching, a little beer… what’s not to love? I will get to Olde World Europe someday. Yes, I will. My mother has wanted to go to Prague for years. Maybe their next trip as this year they went to Africa (Kenya/Tanzania). I love old buildings. Beautiful photos of wonderful architecture. Thank you for sharing. If they decide to go, let me know. I have a great apartment rental I can share with them. Unbelievable location with fabulous views, and the price was good, too. We loved it. Fingers are crossed that you will make it there soon! PS – Any chance your mother blogs? I’d love to see her photos of Africa. What an awesome trip that must have been. Thank you. They had a fantastic time, despite the bumpy rides along the unpaved roads. My Mom does not have a blog. But they took over 1200 photos, I think. Then my Dad pared that down a bit. Still takes a long time to get through them all. I do have to tell you that for their 25th anniversary they went to Germany and spent 12 days going around to all different towns and Christkindlmarts. Mom took an extra suitcase so that she could bring home lots of goodies. That was another trip of wonderful photos. It’s another trip that I’d love to take. But first on our itinerary is hopefully going to Scotland in May of 2013 for our 10th anniversary trip. I hope you make it to Scotland, and I hope you share lots of photos. It’s on my bucket list, as well! 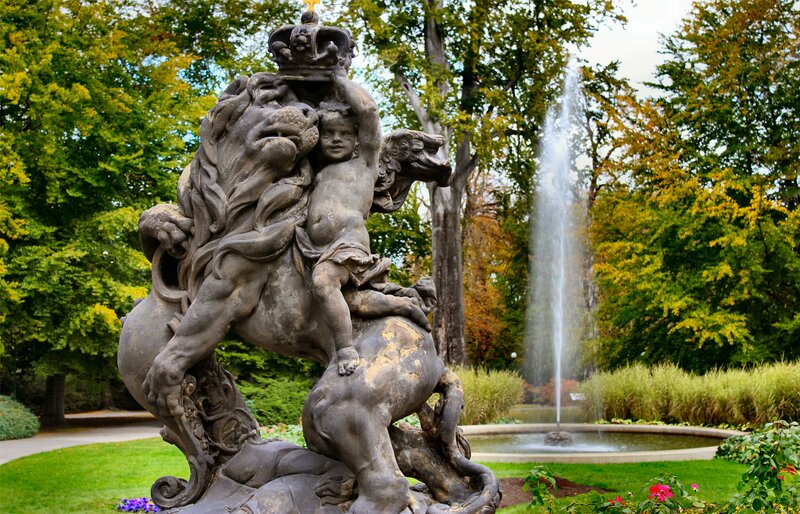 I have heard such wonderful things about visiting Prague from a slew of people, so it’s been on “my list” for awhile now. The architecture is magnificent. 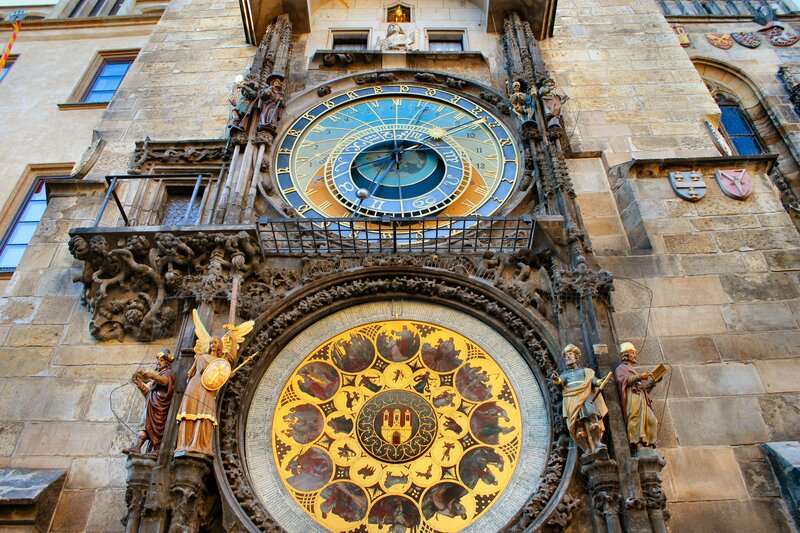 The Astronomical Clock is awe inspiring–hard to believe that it still works after over 600 years. They sure don’t make ’em like they used to! Somewhere, my grandfather is smiling for me using that line. I think in this case, that cliche is absolutely true. To have built such a magnificent clock back in the early 1400’s is mind blowing. And there’s so much more detail to it than even the photos show. Your pictures are INCREDIBLE! When did you become a professional photographer?? The Charles Bridge pic looks like a Van Gogh. You got some mad talent! Thanks, Mads. That’s really nice of you to say. I’ve always enjoyed taking pictures, but it wasn’t until I got that new camera that it really started to pay off. I’m a long way from a professional photographer. Heck, I haven’t even had a single lesson. Yet. Someday I’ll have to fix that. WOW! There is so much to see in just a single picture. They remind me of the puzzles we used to work when we were kids. I’d never even thought of visiting but now I’d love to see it in person. Can’t wait to see more at Thanxsmas! I thought the same thing when we started going through all of our photos, Baby Sister. They did remind me of some of those monsterously difficult puzzles Mom used to buy. But it’s much more fun to see those places in person. MUCH more fun! 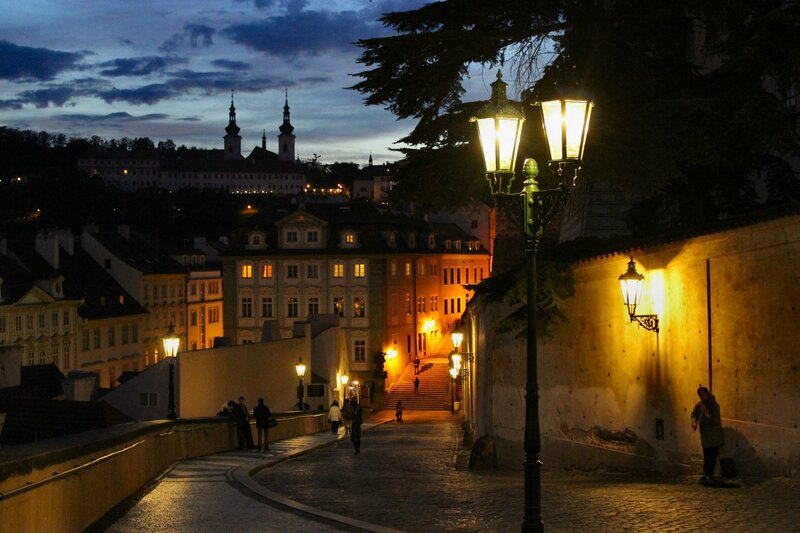 I have been to Prague but my photos were not nearly as beautiful as yours – they make me want to go back! I know what you mean. I saw a few photographs of Prague covered in snow and my first thought was that I’d love to go back and see it in winter when it’s quiet and peaceful and snow covered. Prague is always lovely. Ok, now I want to move there, not just visit!! David wil love you for that now! :) Your photos are gorgeous!! Neither, but I don’t remember seing them on any menus now that I think about it. Maybe I should have looked closer. We had kraut and dumplings several times, lots of pork, and an apple strudel that knocked our socks off (twice). The Czechs also get a solid A+ for bread, too. And beer? Fuhgeddahboudit. 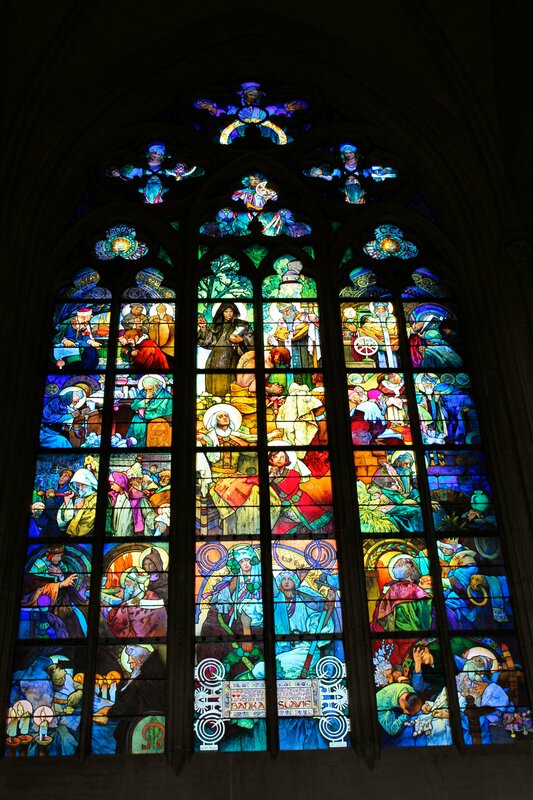 We haven’t had a chance to visit Prague when travelling in Europe before, but after viewing your pictures, I realize that we need to get there. It looks as though you had a wonderful time in a most beautiful and storybook-like place. Thank you so much for sharing those spectacular pictures of yours! Thanks, Liz. I’m glad I’ve inspired you to visit Prague. You certainly would not regret it. It is a storybook place. 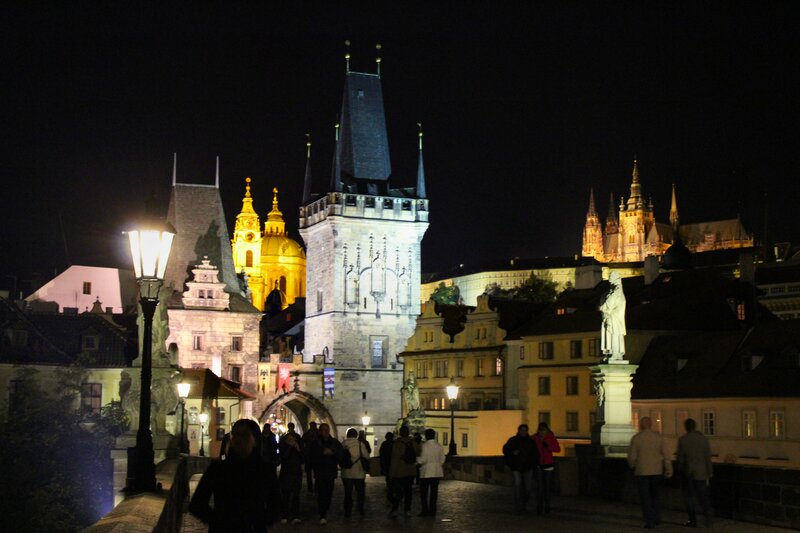 When The Complete Package and I started going through all our photos after the trip, we looked at that night shot of the Charles Bridge Tower & Prague Castle (fourth from the end) and said, “Wow. Does that look like something from Disney World or what?” It’s so pretty it almost seems unreal. Like something created for a movie set or Disney. But it is authentically that stunning. I had to pinch myself several times to make sure I wasn’t dreaming. Emma & Katie would think they were princesses in an enchanted land! Thanks, TBF. I appreciate that. You’re right on the money about the history. My mind was blown by standing in places like Istanbul and Prague, knowing that their history spans hundreds and hundreds of years. That clock in Prague and the Spice Market and Hagia Sophia in Istanbul were all built in the 1600’s. How amazing is that? Your photos are stunning! It makes me feel like I’m there again. Thank you! Thanks, Lori. I keep looking through all of them, wishing I were back there, too. What a great city. And I’m glad it lead me to you, a fellow traveler and blogger. Where are you going next? Any plans yet? What a great post. 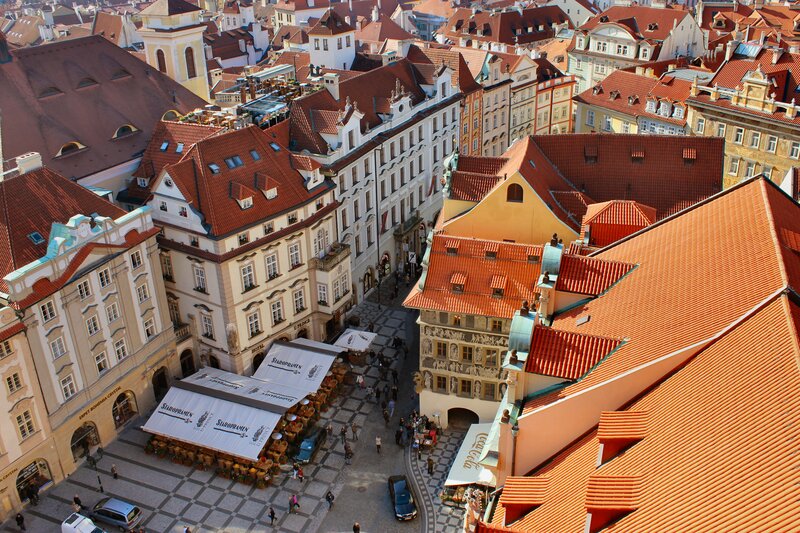 Prague is one of my favorite cities. I loved the Charles Bridge most of all, but it was romantic and beautiful like no other place. Thanks for sharing your gorgeous photos! I know I’m quite a few days behind but I had to comment on the pictures. Prague is stunning! Wow, it is now on my list of places I want to visit one day! OH MY….I am finally catching up on all of your Euro photos…and I’m about to go to bed and dream about it all night! I LOVE THEM ALL. I want to go!! 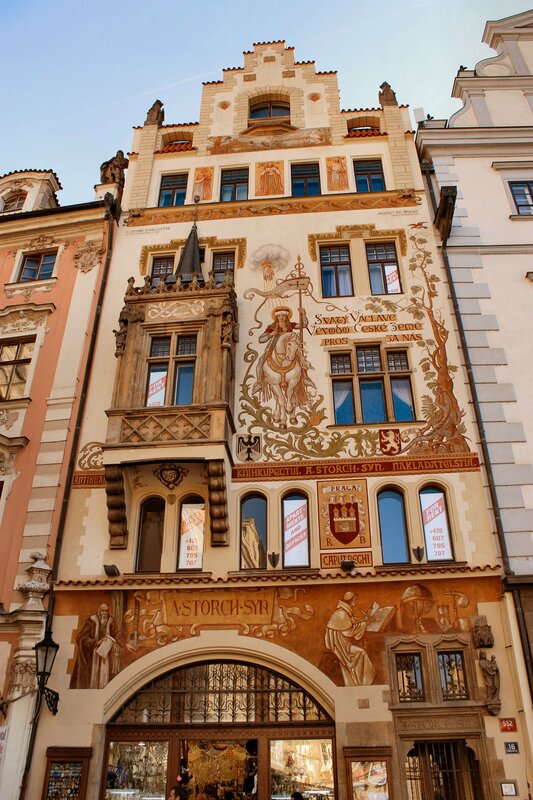 I did visit Prague during my study-abroad in Heidelberg, Germany, and this brings back SO many memories!